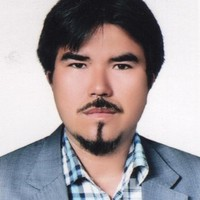 Mr. Ahmadi has over 10 years of relevant local and international (Certified geotechnical lab manager under USACE in Afghanistan) geotechnical engineering and engineering geology experiences. He joined DGMTS in early 2017 and currently working as a senior geologist and drilling department manager. He has also been working on several geotechnical engineering and construction material testing related projects as project manager. He has a Bachelor of Science degree in Geology and a Master of Science degree in Engineering Geology. Mr. Ahmadi has worked on more than 100 geotechnical projects as project manager as certified Geotechnical lab manager under USACE in Afghanistan including several dam geotechnical investigation projects. At DGMTS, Mr. Ahmadi's responsibilities include managing geotechnical and geological investigation projects, managing drilling department day to day activities, and coordination of drilling assignments. Ali has extensive knowledge of rock mechanic, geophysical investigation, petrographic analysis, hydrogeology, and cost estimation for geotechnical studies.